These tools are used to get a 5 and 10-year overall survival of patients with and without chemotherapy in an adjuvant setting. 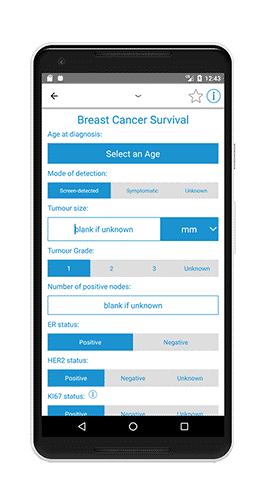 ONCOassist has created these tools in partnership with some of the world's leading Universities and is the only platform to offer these tools specifically for mobile usage. 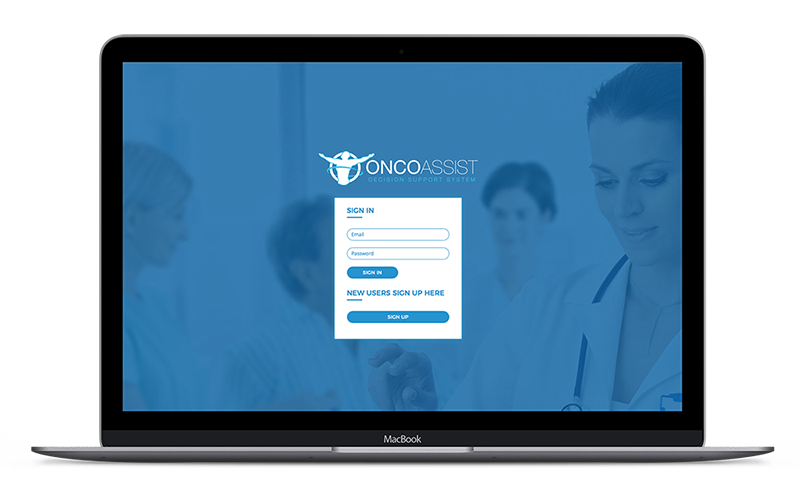 With over 20 interactive formulas, ONCOassist is focused on offering oncology hcp’s the information they require instantly at point of care. Notable formulas include BSA, Corrected QT Interval (QTc), and BMI formulas. With over 14 prognostic scores tailored for a number of specialties, ONCOassist has worked to make the scores intuitive and easy to use. Previously oncology hcp’s were required to look up clinical papers or access online resources to get the prognostic score they require. With a series of questions based on these clinical papers, ONCOassist has cut down a task that took a number of minutes to just a few seconds. The Common Terminology Criteria for Adverse Events (CTCAE) formerly called the Common Toxicity Criteria (CTC or NCI-CTC), is a set of criteria for the standardized classification of adverse effects of drugs used in cancer therapy. The AJCC staging system is a classification system developed by the American Joint Committee on Cancer for describing the extent of disease progression in cancer patients. It utilizes in part the TNM scoring system: Tumor size, Lymph Nodes affected, Metastases. ONCOassist has licensed to TNM staging criteria from the AJCC to create an easy to use and interactive functionality. We offer our community access to the 7th and 8th Edition of the staging criteria. criteria. The Drug info section gives our community access to a comprehensive list of oncology-specific drug information. 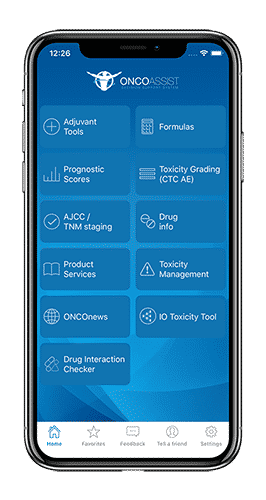 Derived from the summary of product characteristics (SMPC), we organize the drug information in an easy to navigate structure that allows the user to jump in and out of a specific section quickly.